I had no luck attaching the existing Data Warehouse. Luckily for this instance we didn’t archive anything to the Data Warehouse that we couldn’t recreate from the ServiceManager database. The decision was to start from a net new server install. This would allow us to recreate the Data Warehouse and be the simplest and quickest route (we thought). 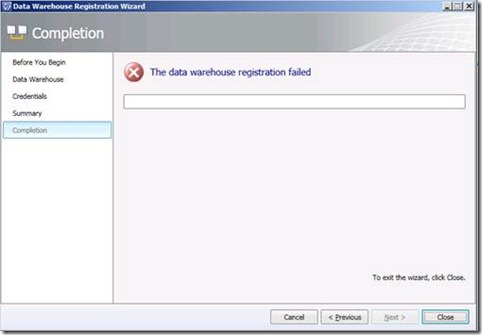 Unable to register Service Manager installation with Data Warehouse installation. Exception: Microsoft.EnterpriseManagement.UI.Core.Shared.PowerShell.PSServiceException: The Data Access service is either not running or not yet initialized. Check the event log for more information. 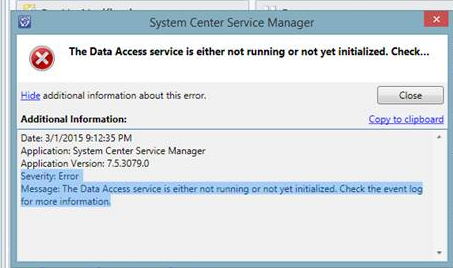 <Data>Microsoft.EnterpriseManagement.UI.Core.Shared.PowerShell.PSServiceException: The Data Access service is either not running or not yet initialized. Check the event log for more information. Set host entries from my old server names to match the corresponding new servers. THE ERROR CHANGED. When trying to register the DW I received an error that the credentials I was using were invalid. 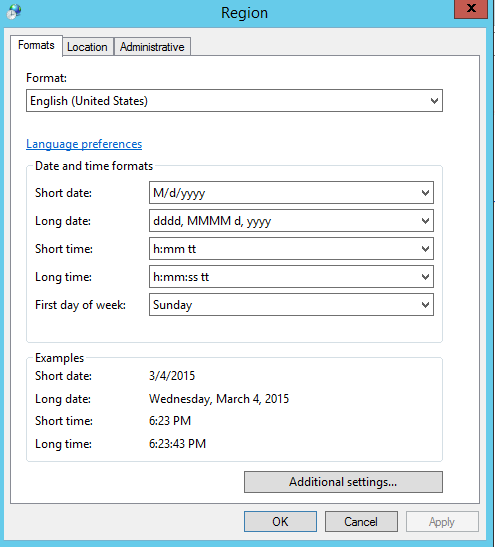 That means there was something still referencing the old servers in the ServiceManager DB. What I found was the MT_Microsoft$SystemCenter$ResourceAccessLayer$SdkResourceStore table was still referencing “SCJOEMGM11” the old Management Workflow Server. Make sure the console opens & it works. Old entries to the previous workflow killed me. Using Host entries hinted at the problem, and Rob’s queries pin pointed the exact table that needed to be changed. I hope this can help someone facing this error, there is very little published on a failed Service Manager Data Warehouse registration. 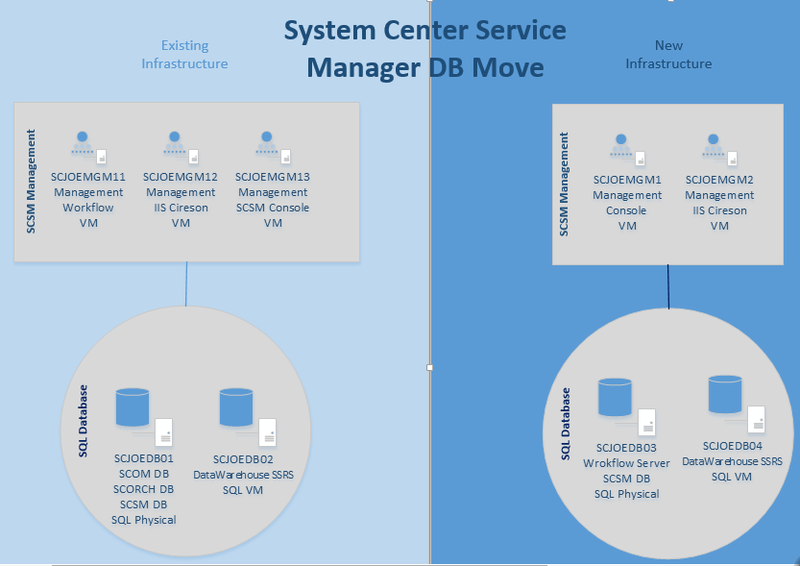 Previous Previous post: What Does the SCCM Connector Capture in Service Manager? Everything! What can you customize? Nothing! This article helped me with registrering a Data Warehose where the workflow-server had been moved. For me aswell, it referenced to the old server in the MT_Microsoft$SystemCenter$ResourceAccessLayer$SdkResourceStore-table.